Striking out on your own as a musician after being part of an ensemble is never easy to do, save for the fortunately marketable front men and Beyoncés of the world. Roosevelt Collier is doing his best, and while picking up steam, has never forgotten where he came from and what made him the musician he is today. Forged out of the Pentecostal beliefs surrounding “Sacred Steel,” Roosevelt is both carrier of the torch and genre-hijacking outlaw. 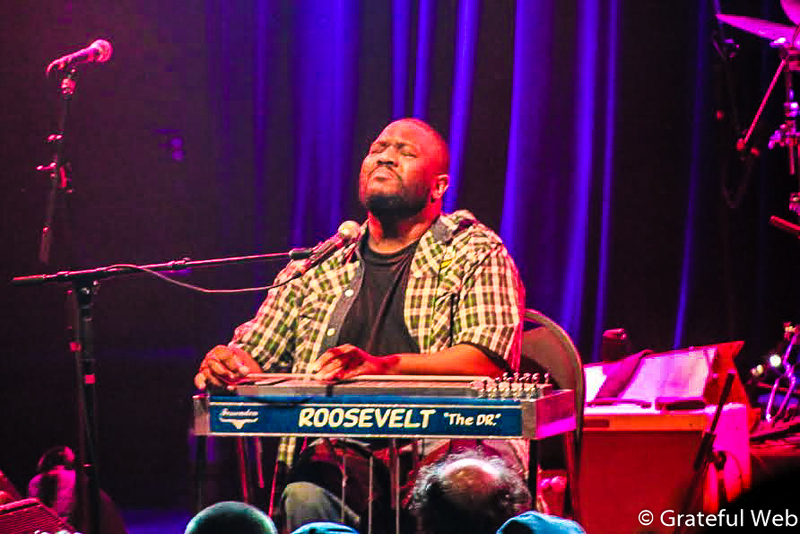 The gospel that rains from his pedal steel has been honed from years of performing with his uncles in The Lee Boys, and Roosevelt, “the Doctor,” has always been up front and center for their revelatory live shows. 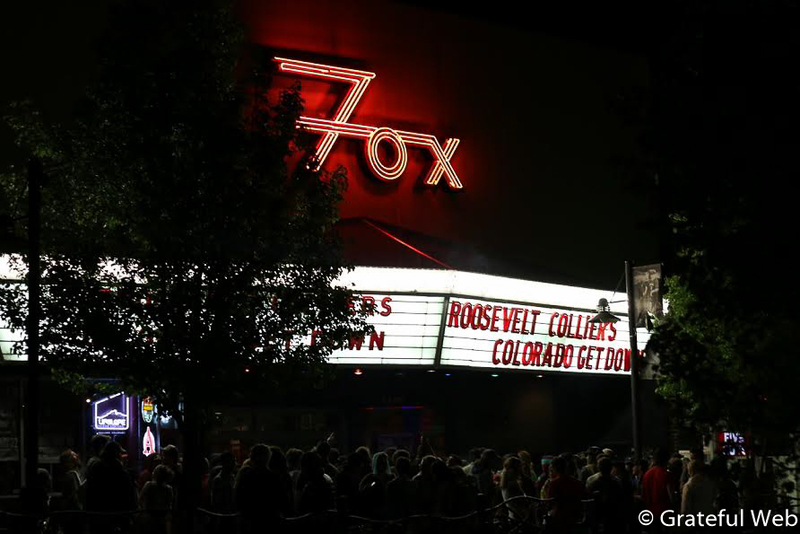 He brought his mastery of the steel to Boulder for the first “Roosevelt Collier’s Colorado Get Down,” featuring musicians from The Motet and Leftover Salmon. Not bad for an artist who let’s his instrument do the singing. While the pedal steel found a home in the country twang rock and roll of the early seventies, it never transcended scenes like the organ, the most biblical associated instrument to grace the stage. 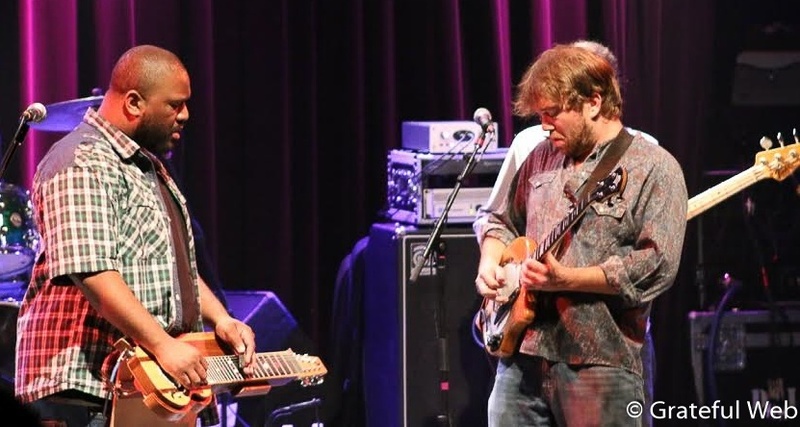 Over the last twenty years, the pedal steel has become one of many instruments accepted by the jam band community, especially after Robert Randolph stepped up to the plate. Roosevelt has taken a different approach than his similarly gifted counterpart, nurturing his skills with The Lee Boys and jamming with every band of every genre he can find. 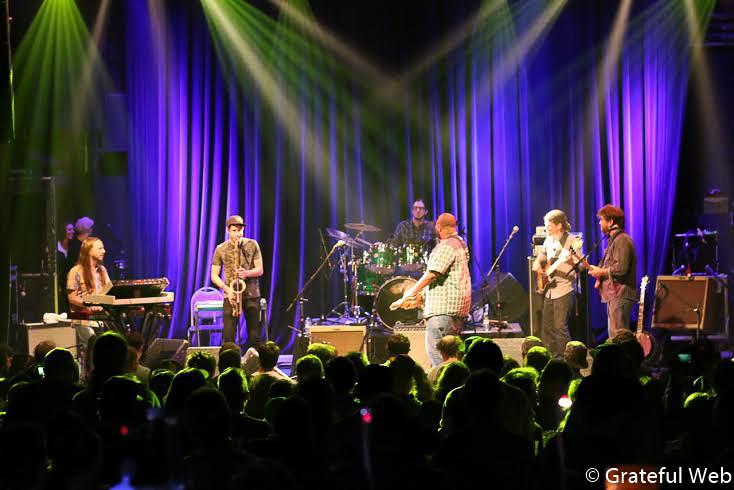 After years of establishing Colorado roots through their Halloween cover shows and elaborate four-way stop approach to open-ended musical styles, The Motet has entered a new phase of their bands’ being. Armed with an album of original material and the tight interaction that comes with multiple jaunts across the states, keyboardist Joey Porter and the rhythm section of Dave Watts and Garrett Sayers are hitting a stride that precious few outside of Colorado had taken notice of, until recently. The three members all have numerous side projects and other bands, making them a few of the hardest working musicians along the Front Range. And it shows. 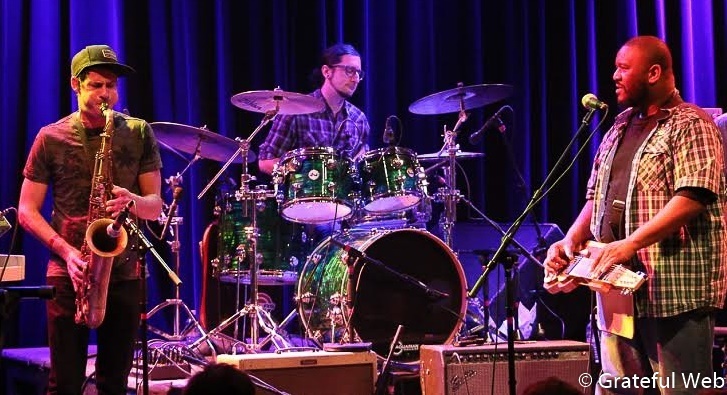 While not a founding member of Boulder’s own Leftover Salmon, Andy Thorn has more than shown his grit and grind over the years. His electric banjo is a sight, and I thought he was playing a MIDI altered electric guitar until I noticed there weren’t enough tuning pegs for that to be. With a bright smile and a paisley shirt, Thorn appears as a natural Colorado picker. I wouldn’t necessarily call it a look, but he embodies the Colorado attitude and cut his teeth with a variety of acts before his ascension from The Emmitt-Nershi Band to Leftover Salmon. Like Roosevelt’s dedication to his craft, Thorn has a long history with his instrument of choice, competing in banjo competitions and working his way to the recognition he’s achieved. Following a soulful horn blast mash up of a set by openers The Other Black, Roosevelt was swift to tell us how the band hadn’t rehearsed, and that he’d never played with them before-which isn’t actually true considering he’s joined the Motet on stage -but we let it slide, as he gave the band super hero names in what felt like a five in the morning psychedelic love affair on the Jam Cruise pool deck. Roosevelt has been an artist at large since Jam Cruise Eleven, and will be on lucky number thirteen early in 2015. He made sure we knew that tickets had just gone on sale to the public earlier in the day, and by the replies he got from the audience, there were repeat offenders among us. The instruments combined into one holy baptism by fire, complementing each other as well as The Motet rhythm section of Superman (Watts) and The Incredible Hulk (Sayers). Roosevelt rounded out the monikers for the band with Wolverine for Joey Porter and Zeus, surprisingly, for Andy Thorn. I’m not sure if it was a sudden brain freeze due to Roosevelt’s still early foray into being a dialogue driven front man between songs, but Zeus is the God of Olympus and the reigning overlord of Greek mythology. It’s flattering, sure, but implies a stronger being than the DC and Marvel Superheroes combined. If Andy is Zeus, what does that make Roosevelt? Following an early rising into unchartered territory, the band dropped into the first recognizable instrumental: Lenny Kravitz’s “Fly Away.” Roosevelt unleashed the gospel, and Joey Porter added slow organ fills under the spun out metal tear of the pedal steel. They had the crowd chanting, “I want to get away, I want to get away!” While drums, bass, keyboards, electric banjo and a pedal steel guitar might look like a southern, smoky mountain mutation on paper, in reality, the combo provided a blistering and funkadelicly fresh take on getting in the groove and letting the good times roll. The first set wound down, or I should say picked up, with a take on Stevie Wonder’s “Higher Ground.” The Motet trio was obviously familiar with the tune from years of Halloween hurrahs and funky cover shows. Wolverine AKA Joey Porter let his Adamantium claws rip across the keys, absolutely gnawing at that repeatedly bopping wah-clavinet line that defines the meat of the track. Following a brief set break that saw the majority of the crowd stick around, the band exploded in a funky, organ dominant jam. Roosevelt and Andy took turns at frozen, mesmerized staring, in awe of each other’s abilities much the way NBA players tend to stand around and watch when a superstar goes to work with a hot hand. Boulder’s hometown duo, Big Gigantic, made their way to the stage early in the second set. The intricate, technical drumming of Jeremy Salken was an unexpected yet welcomed departure from Watts’ style. Cymbals rattling, he grooved with the bass playing Incredible Hulk. “Drummers are a dime a dozen,” I overheard someone say, “and he’s definitely one of those dimes.” His counterpart in Dominic Lalli is no different, wailing away on his saxophone. Once upon a time a hired gun for The Motet, the one-two punch is selling out Red Rocks and making a name for themselves beyond the comfortable confines of the Rocky Mountains. The timeless Brick staple, “Ain’t Gonna Hurt Nobody,” allowed for each instrument to shine. 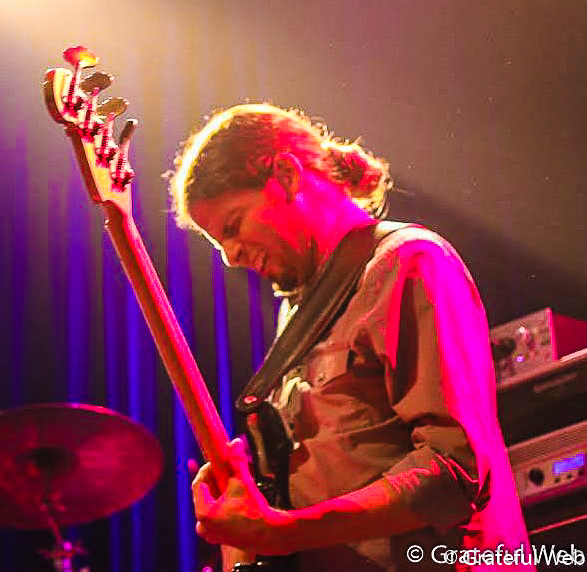 The Motet brings funk to the mind, so it was great to see Roosevelt ferociously jamming right along with what they bring to the table. A booming bass, keys and horns number, the band ripped it up and didn’t leave a still body in the house. The shared musical creation between artists is a special thing, and watching it unfold live only exemplifies it. The Colorado scene is always open to sitting in and jamming, allowing for performances like this one to happen at a regular rate. But you’ve got to hand it to Roosevelt for getting such a group together on a quiet, underclassmen-less Thursday night in Boulder, because they delivered. You don’t have to call it a super jam, but anything less than that wouldn’t do it justice.